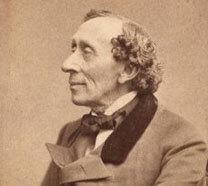 In 1874, the year before he died, Hans Christian Andersen was perhaps better known than any other living writer, an international celebrity somewhere on a level with Charles Dickens. 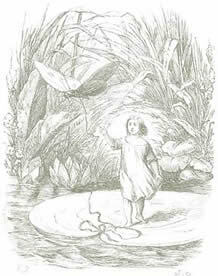 Even people who were not quite sure of his name were aware of his writing – in particular his "Tales, told for children," the fairytales, first published in the early 1830s. Some of these stories are so famous that they seem almost to exist without an author. Consider just some of the most celebrated stories: "The Ugly Duckling," "The Emperor's New Clothes," "The Princess on the Pea," "The Nightingale," "The Red Shoes," "The Little Match Girl," "Thumbelina," and "The Little Mermaid." All in all, he wrote about a hundred and fifty of them, and while all are not equally good – and many are really not meant for children – all of them are told in Andersen's special satirical, comical, and sympathetic voice. And all of them are in some way about Andersen himself, whose own story is at least as strange as his tales. He called his autobiography "The Fairytale of My Life," and the title is apt. Andersen (no one ever called him "Hans") was born in the town of Odense, on the Danish island of Fyn, in 1805. He was a solitary boy who amused himself by playing with puppets and trying to write plays. He grew up in extreme poverty and was obsessed with a desire to become famous, even if he wasn't quite sure of the path to fame. He left home at the age of fourteen, setting off for Copenhagen, the Danish capital, and he never looked back. He had the enormous good fortune to be noticed by a prosperous and socially prominent family, the Collins, who helped get him an education. Andersen considered them his family – his own father had died when Andersen was eleven, his mother was a drunk – and although he tried the Collins' patience, they stood by him, never imagining that this strange, overly sensitive and strikingly ugly young man would become world famous. A New Translation From the Danish"